A friend had organised a group session with Katy and asked for other participants to make up the other 5 for a group. I have been suffering a few confidence issues, especially around jumps and as I have never had any instruction on either of those, I grabbed the chance to learn from an expert. 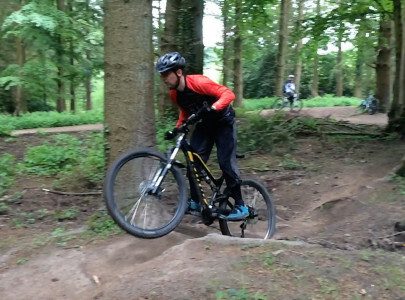 As well as being a world champion racer, Katy is a CTC qualified instructor and runs group and individual coaching sessions at the Pedalabikeaway cycle centre in Canop Valley in the Forest of Dean. The Forest is a perfect location, with a huge variety of riding, as well as being my favourite place to ride. We had a 3 hour morning session and started off having a quick chat at Pedalabikeaway to say what our mountain biking experience was and we wanted from the day. Fortunately we were all looking for very similar things and we quickly headed up to the downhill tracks. Once we’d caught our breath, we started with body position. I thought my positioning on a bike was ok, but I was amazed what a difference even a subtle shift can make. 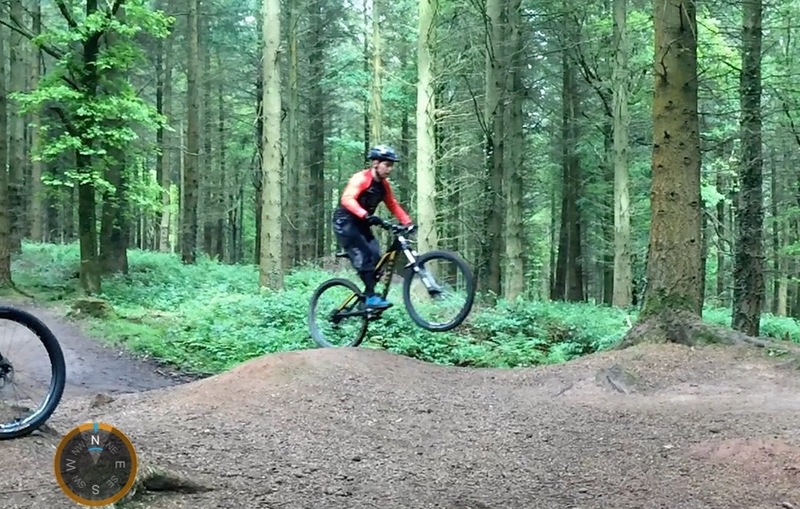 Just a small tweak made a massive difference to riding the awkward compression we had been given to tackle, with an instant improvement in my speed and confidence. Jumps were next, so we moved on to a nice tabletop. This is a skill that I really didn’t know how to do and I feared. Katy talked us through technique and then demonstrated a big jump, with minimal speed, showing what proper technique could do. I found this a massive help, as it showed I could start slow working on my technique till I gained more confidence. As we practiced I felt more comfortable and my height and distance increased. One big thing for me was when I got one a bit wrong (technique-wise), I still felt comfortable and didn’t get into trouble because of my improved body position from the first lesson. This was a big step for me, as confidence comes from practice, but I was now raring to practice. 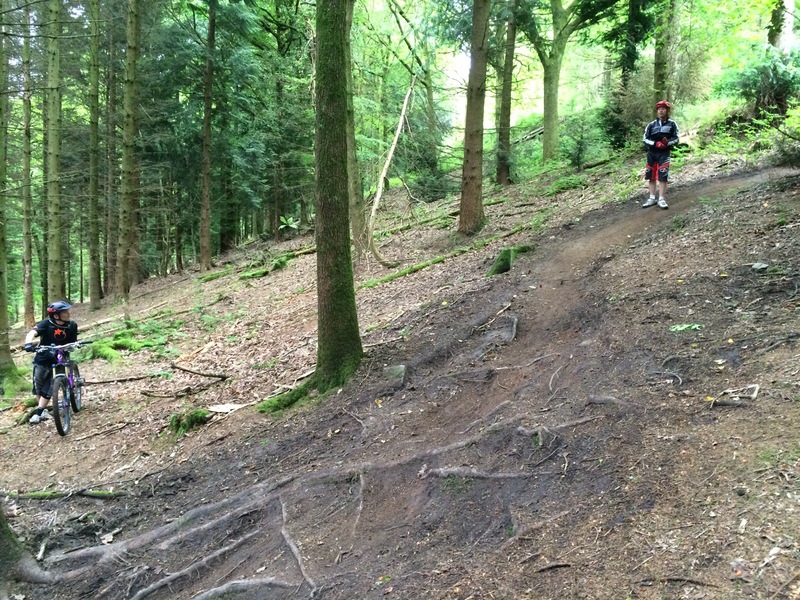 The final sessions involved tackling the steep corners and roots on the Bottleopener trail. We built on the foundations of body position from the beginning, but now enhancing them for a bit of trail that was very hard to even walk! This was an area of my riding I was more comfortable with, but I still learnt some things that instantly improved my speed. On the final section Katy also showed us a technique I had never considered; to great effect – by her anyway! It’s going to take some practice for me, but definitely going to work on it.